Cattle Egrets are generally rather non-descript little egrets, but their color transformation at this time of year is astonishing! Most remarkable is the way their plain orange-y beaks turn a striking, deep reddish-orange, with vivid purple lores around their eyes! 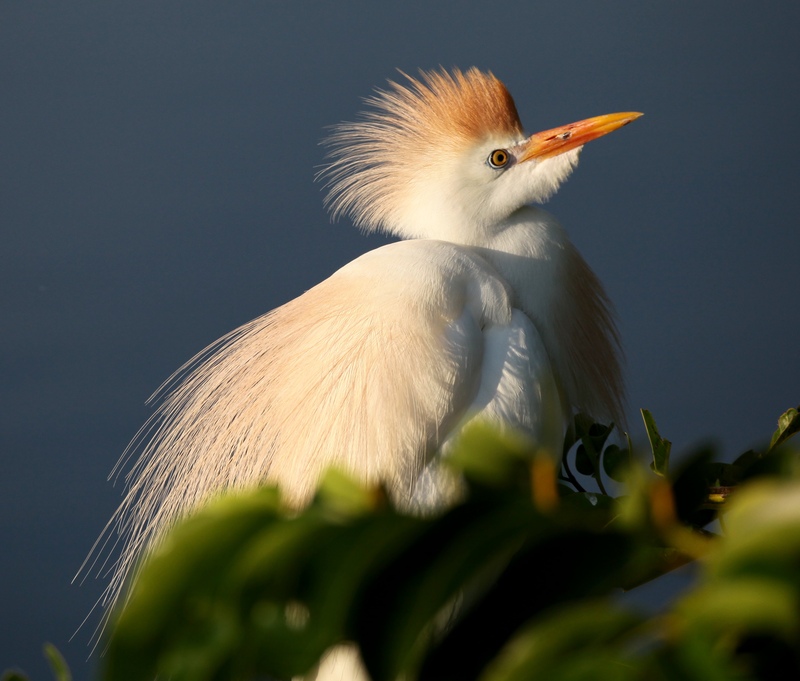 The Cattle Egret’s breeding plumage also highlights their beautiful peach feathers, and they often appear to be wearing spiked topknots ;-D Their legs and feet even change from black to a dramatic orange! 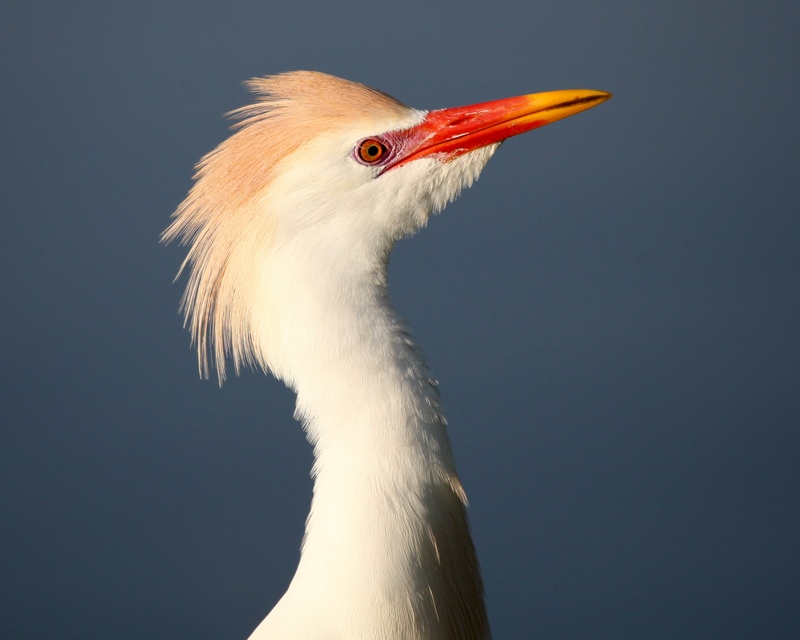 To see what they look like during the rest of the year, and to learn more about Cattle Egrets, check out this info on All About Birds. 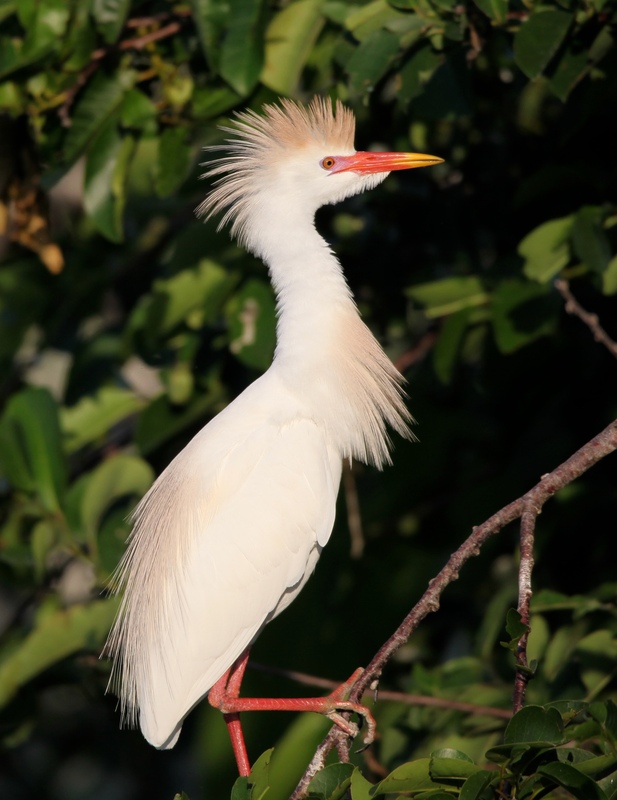 This entry was posted in Birds, Marsh/Wetlands, Nature and tagged Cattle Egret. Bookmark the permalink. You did a fantastic job of highlighting the changes, BJ. While I have seen the cattle egret’s breeding plumage, I never realized the bill color changes to that beautiful fiery red, and purple lores. Thanks so much for your comments, Jet. It’s really an incredible transformation. They look so different! Wonderful, informative post and photos! These egrets are strikingly beautiful! And yet I confess that I never really think of them as beautiful except at this time of year! I appreciate your visit, Tiny. Thank you, Berny! I love these Egrets – they can also be so comical to watch! She has good taste 😊! They are so colorful in this season. I’m glad you enjoyed them, H.J. – they are very photogenic! Very Nice! I love photographing these birds. In NJ we only see them a few times a year. Plus they are fun to watch roaming around on the ground. We are lucky to have them all year round, but they really make their mark in these stand-out colors in the spring! Thanks! Your visit, as always, is much appreciated, Pam! Thank YOU for your visit, Amy! Great post. We have these little guys all over in Clearwater. I love watching them. Thanks for sharing. I will definitely be looking for the color changes now. Thanks for sharing. Thanks for your visit, Gurn! I enjoyed getting a look at your blog for the first time also.